As of 2003, there were 12,794,616 registered boats and personal water craft in the U.S. Water sports such as waterskiing, wake boarding, swimming, jet skiing, fishing, or using personal water craft can be fun, however these types of activities can be dangerous especially in the hands of someone who is inexperienced or intoxicated. Some of these injuries include, drowning, carbon monoxide poisoning, burns, amputations, prop injuries, hypothermia, head injuries, disfigurement, or collisions where someone is ejected from the water craft which can cause a soft tissue injury or broken bones. Most laws with regard to negligence apply to boaters and most boats are covered by insurance policies that will compensate you for your injuries. The United States Coast Guard Office of Boating Safety conducts a nationwide annual study on boating accidents. 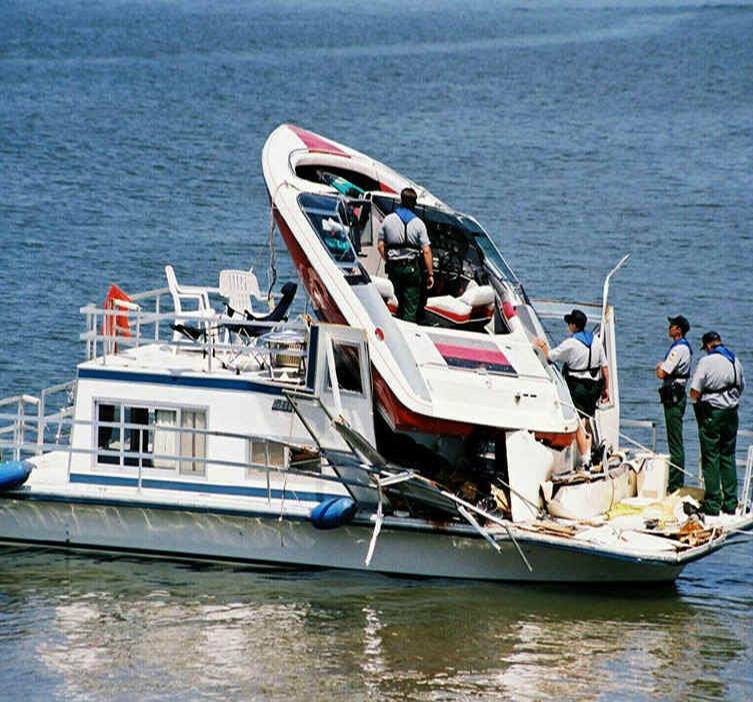 According to their report in 2003 , there were 5,438 accidents, 3,888 injuries and 703 fatalities (Alcohol was involved in 31% of these fatalities) as a result of boating and personal water craft use. As a result of the 5,438 accidents there was a total of $40,422,374 in property damage. The most reported type of accident was a collision with another vessel. The most common types of boats involved in reported accidents were open motorboats (1,891 or 42%), personal water craft (1,228 or 27%), and cabin motorboats (367 or 14%). Overall, operator inattention, carelessness/reckless operation, operator inexperience, and excessive speed are the leading contributing factors of all reported accidents. Capsizing and falls overboard are the most reported types of fatal accidents and accounted for over half (57%) of all boating fatalities. Approximately 70% of these fatalities occurred where the victim drowned (481 out of 703) and 86% of the victims who drowned were not wearing a personal flotation device (PFD) or life jacket. 416 lives might have been saved had these victims worn some kind of flotation device. You must remember to wear a personal flotation device or life jacket, it does save lives. Call Danno Law Firm, P.C. at (406) 755-4100 for a free consultation to discuss your accident case. You may also write to us by filling out the form on the "Contact" page. If you cannot come to us, we will send a representative to see you!